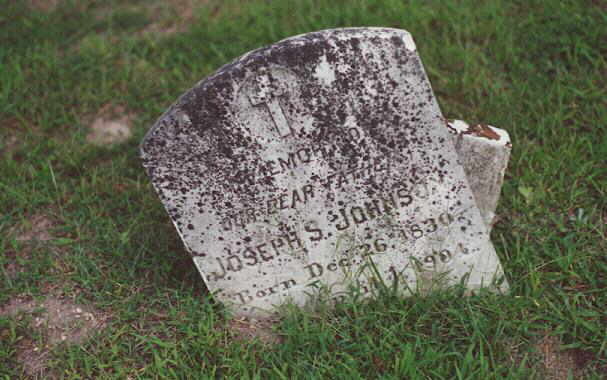 Joseph Stephen Johnson was born December 26, 1830 and died April 1, 1904. He was the son of John & Sarah (Drury) Johnson. He is buried in the Old St. Joseph's Cemetery. He married Eliza C. Mattingly (b. March 30, 1834, d. October 26, 1909). She was the daughter of John Mattingly. She is also buried at Old St. Joseph's Cemetery. At the time of their marriage this couple gave their names as Stephen Josiah Johnson and Catherine Eliza Mattingly. Hillery, brother of Joseph, was a witness. They had seven children. One of their children died young. Joseph owned the farm known as "The Grange" located in Leonardtown and valued in 1870 at $800.00. Eliza received $230.00 from the estate of her father John Mattingly on September 26, 1854.